Author Chat with Sarah Nicole Smetana (The Midnights), Plus Giveaway! 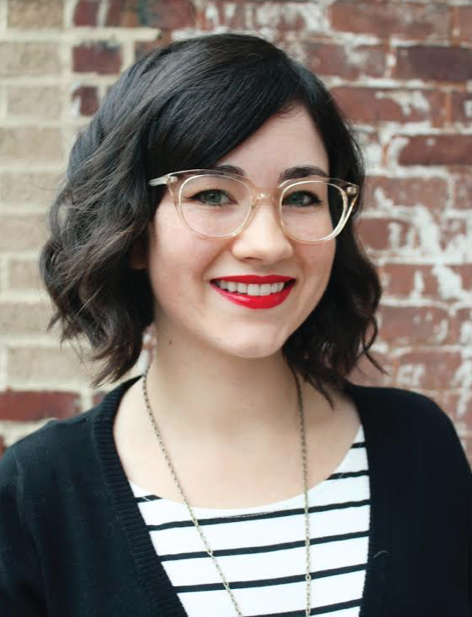 Today we're excited to chat with Sarah Nicole Smetana, author of The Midnights. Read on for more about Sarah and her book, plus a giveaway! Sarah Nicole Smetana received her BFA from Chapman University and her MFA in Fiction from The New School. Originally from Orange, California, she now lives in Brooklyn with her husband and their three-legged cat. Susannah Hayes has never been in the spotlight, but she dreams of following her father, a former rock star, onto the stage. As senior year begins, she's more interested in composing impressive chord progressions than college essays, certain that if she writes the perfect song, her father might finally look up from the past long enough to see her. But when he dies unexpectedly, her dreams--and her reality--shatter. While Susannah struggles with grief, her mother uproots them to a new city. There, Susannah realizes she can reinvent herself however she wants: a confident singer-songwriter, member of a hip band, embraced by an effortlessly cool best friend. But Susannah is not the only one keeping secrets, and soon, harsh revelations threaten to unravel her life once again. 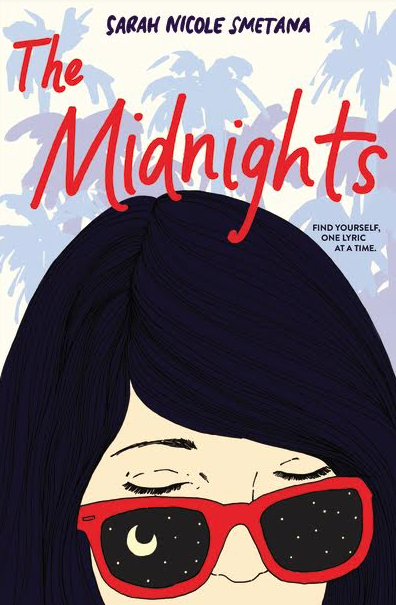 Set against the scintillating landscape of Southern California, The Midnights is an evocative coming-of-age debut about loss, creativity, and finding your voice while you're still finding yourself. 1.) Who is your favorite character in the book? I’d probably have to say Vivian. I always had a very clear picture of her as a character, which made her a lot of fun to write. She’s harsh but unapologetic, and fully aware of her faults—which makes her pretty different from most of the other characters in the book. Plus, she has some of my favorite lines of dialogue. Fierce grandmas for the win! I also really love Lynn, though. She is the only character that stayed from the first draft. Even Susannah is different from her first draft iteration; she hardly resembles that other character. 2.) Which came first, the title or the novel? The novel. I started this book seven years ago, and for the first year and a half or so, I called it Goodbye Ruby Tuesday. Then one of my creative writing professors said, simply, “You can’t call it that.” I never did find out why she hated that title so much (maybe she had a bad experience with Mick Jagger back in the day? ), but the little criticism stuck with me, and my search for a new title began. The Midnights was the book’s second title, and I’m so glad it stuck through the process, because it fits perfectly, and has so many different meanings that relate to the story. What’s funny, though, is that I only came up with the title while doing a writing exercise in which I wrote a scene from Lynn’s perspective. Now, I’m actually grateful for that one professor. Goodbye Ruby Tuesday would have been a terrible title for this book. 3. )Thinking way back to the beginning, what’s the most important thing you've learned as a writer from then to now? There’s no right way to write a book. And also, it will take as long as it takes. It’s so hard to not compare yourself to other people, to watch their journeys and wonder why yours doesn’t look the same. But this type of thinking will only hinder your work. Keep your eyes on your own career, and let the book evolve however it has to, for as long as it needs. If you keep working, and keep expanding your craft, you WILL get there. 4.) What do you like most about the cover of the book? The midnight sunglasses. I loved that element of the cover the instant I saw it. I also really love the periwinkle and powder blue palm trees, and the striking contrast of all the colors. 6.) Which was the most difficult or emotional scene to narrate? The scene at the Troubadour, a music venue in LA, was really hard for me. I knew immediately that it would be an important moment in the book, as well as a meeting point for a number of different threads—and so from a craft standpoint, it was a difficult scene to pull together. On top of that, I struggled because of my personal feelings about the Troubadour. It’s my absolute favorite music venue, and I’ve had such great experiences there. I even played there once (a fact I am endlessly proud of), so it was hard for me to let go of my own associations with the venue. I wanted to write a scene that did justice to the wonderful experiences I had there! But… that was not what Susannah’s story called for. And it took me a long time to accept that. 7.) Which character gave you the most trouble when writing your latest book? I struggled a lot with Diane, Susannah’s mother. She existed in so many iterations over various drafts, and it took me years (literally) to chisel out her character, to figure out how to make her believable and nuanced—especially in relation to Susannah. What I mean is: because The Midnights is a first POV narrative, Diane only really exists through Susannah’s perspective. So I wasn’t just trying to figure out who Diane was as a character in and of herself, but also who Diane was in Susannah’s mind. Ultimately, this very same tension became one of the driving forces of the book. But only after a lot of work. 8.) Which part of the writing process do you enjoy more: Drafting or Revising? Revising, absolutely. There is nothing more daunting and awful that trying to build a story out of nothing. But once you have the pieces down and can begin to play with them, enhance them, see threads building—that’s the part of writing that I really love. 9.) What would you say is your superpower? Arriving places too early, and also noticing when people drop a glove—followed by speedily returning said glove. But in all seriousness (because superpowers are serious business), if I could have any superpower in the world, it would be the ability to pause time. 10.) What’s up next for you? I’m currently working on a second book, but it’s still in the early stages, and for superstitious reasons, I’m not quite ready to talk about it. Soon though, I hope! One winner will receive a finished copy of The Midnights (US only). I think this will be a cute read ? This sounds like a great story, and the cover compliments it well. 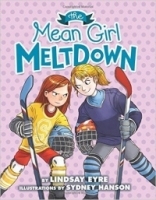 I can't wait to read this! Love the cover! The synopsis sounds awesome! The cover really pops out. The story sounds exciting and fits with the cover. I love the cover and the synopsis is exciting and emotional and I already connect to this character through music.